Tri-Dosha Ayurvedic shampoo. 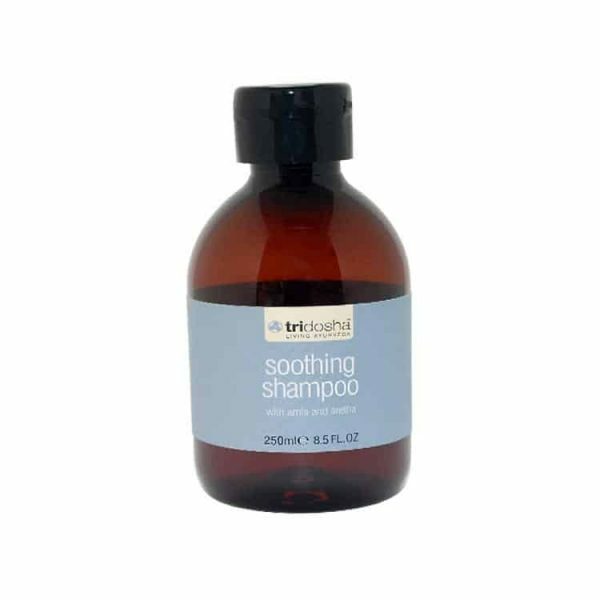 The best Ayurvedic gentle daily shampoo contains essential oils to nourish and revitalise hair, massage into the scalp to cleanse and fortify all hair conditions. Active ingredients: amla and aretha. Our pure, gentle daily shampoo is laced with an Ayurvedic protein of amla and aretha, which nourishes, cleanses and fortifies all hair conditions. Complementing this is one of Tri-Dosha’s signature scents of cedar wood, chamomile and sweet orange to guarantee a calming and soothing aroma.